In Europe, cake ist traditionally eaten in the afternoon for coffee and cake or for Sunday coffee. Often cake is baked for birthday parties or special occasions. A cake ( from Italian torta, from Latin torta, ´´tortuous pastry´´, ´´round bread´´, ´´bread pastry´´ ) is a fine baked good. It consists of one or more horizontal layers of previously baked cake bottoms, which are filled with cream after baking. 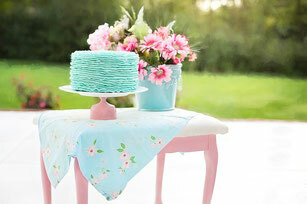 Then the cake can be covered with cake, cream or even a glaze and further decorated with a cake candle. 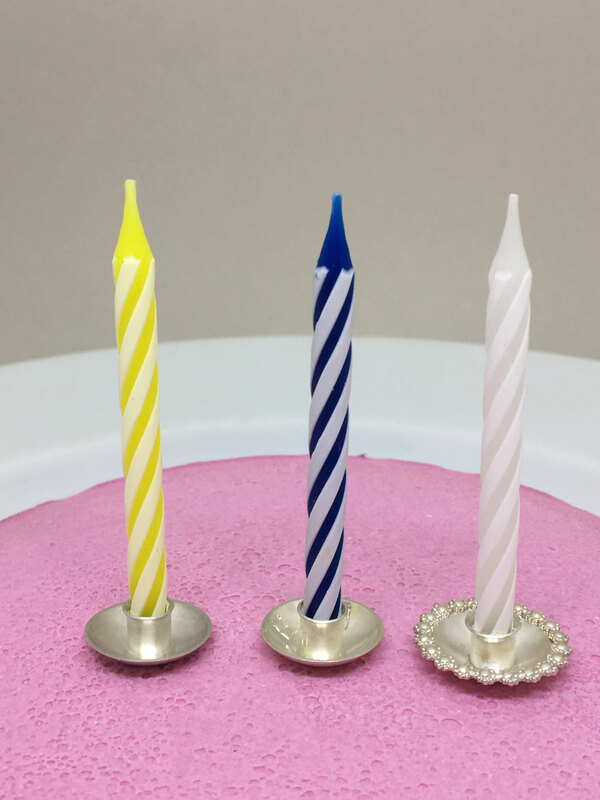 Last year, as my daughter's birthday approached, I looked for the plastic cake candle holders in all my drawers, nothing! So in the city, buy plastic? 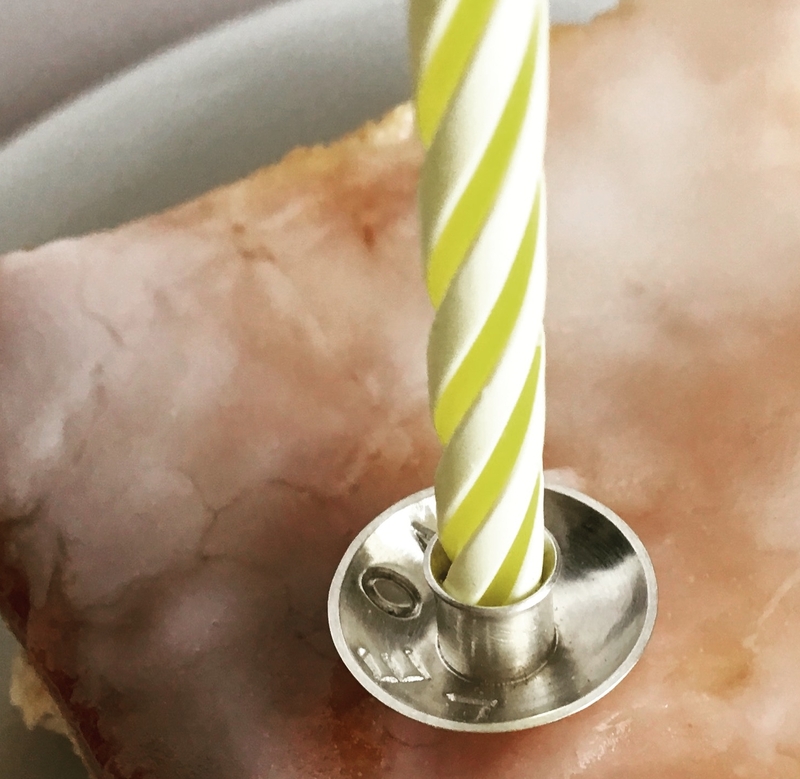 Of course, candles should be on her birthday cake. Then I remembered, the wax would drip on my wonderful cake. 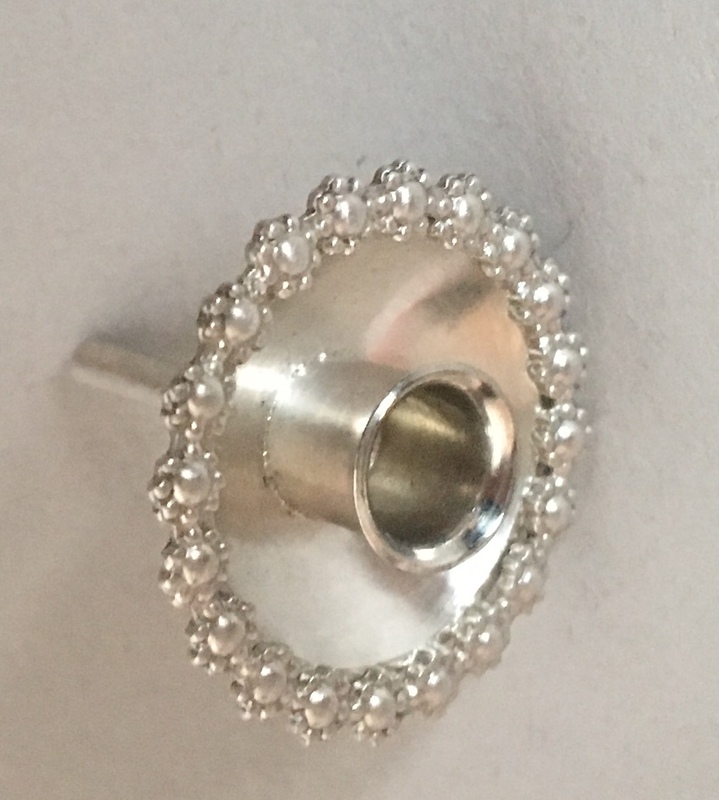 Why not make it myself? 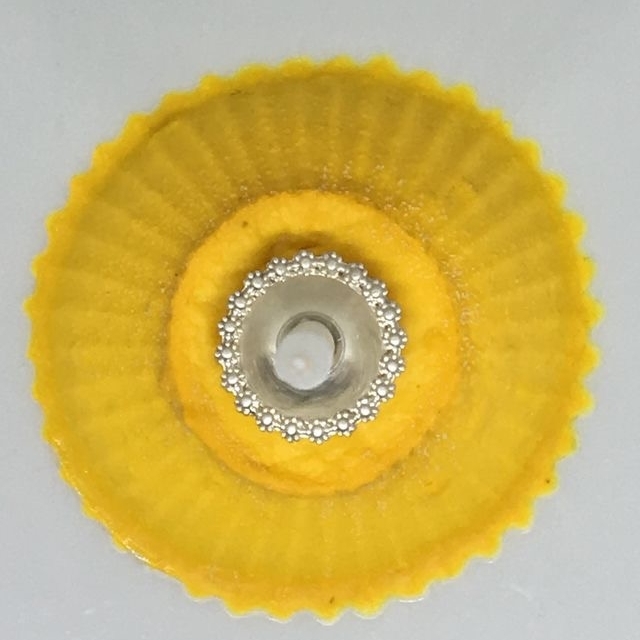 Thought-done-and installed on the cake. 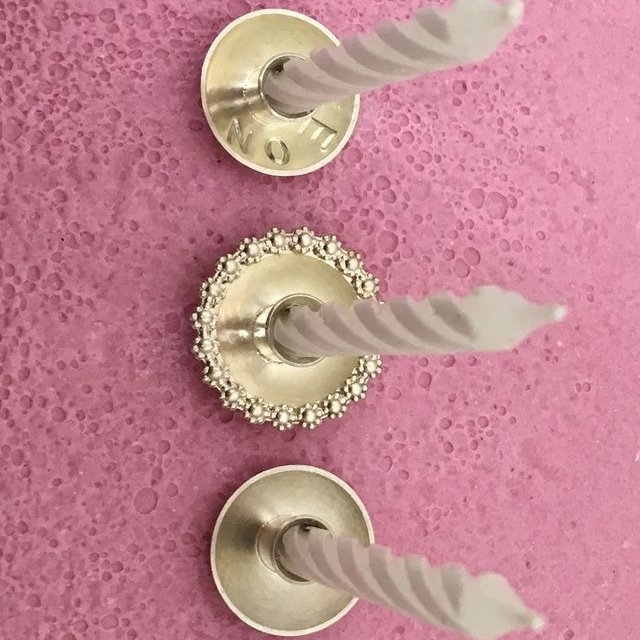 Cake candle holders in sterling silver. 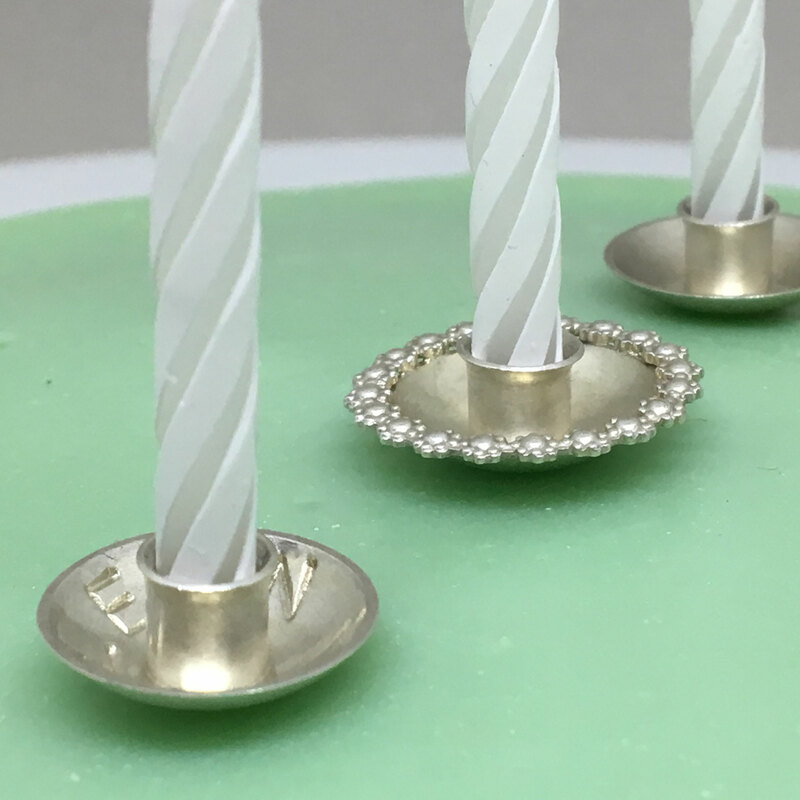 There have been a few birthdays in our family and the birthday candle holders in sterling silver have always been a great cake decorating. 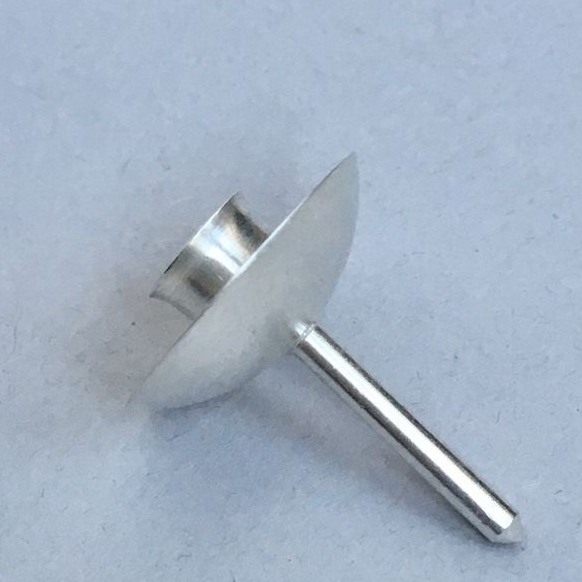 Maybe you like to apply a product that is functional, aesthetic, customized, made of recycled sterling silver and sustainable? A baker should think about. 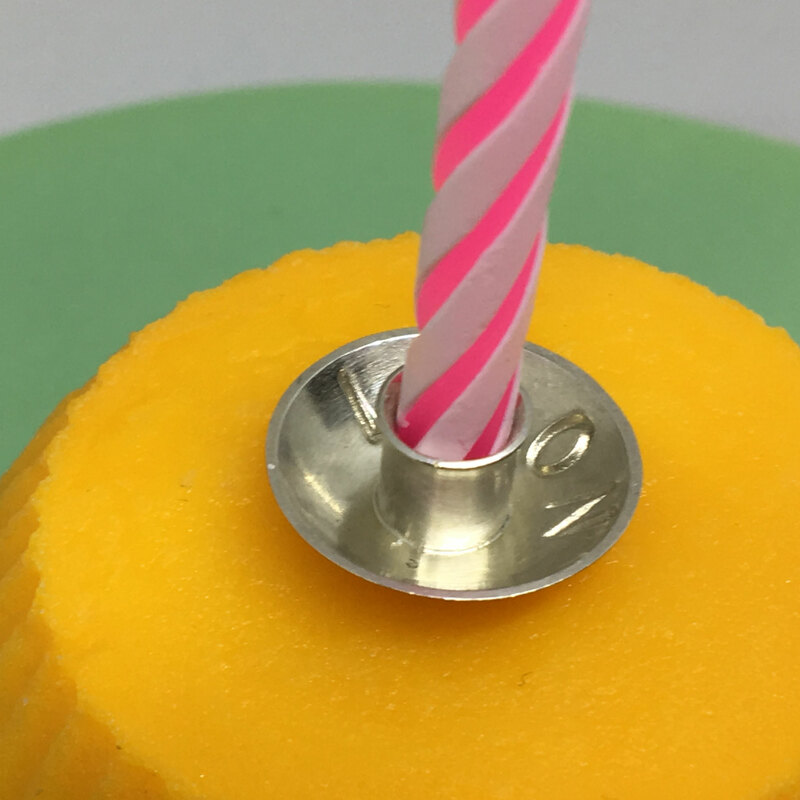 A birthday cake with name, we customize the cake candle holders sterling silver for you. Just send us your name and receive a personalized gift.